Melissa Richardson specializes in eyelash extensions. They are a great convenience for any time of the year, but especially in the spring and summer when you are more likely to be in the water or doing activities where mascara will run. Photo courtesy: Laser Artistry & Medi-Spa. Spring brings a change of weather as well as a change in our daily routine. With longer, warmer days, summer is just around the corner and our skin is about to be exposed to a lot of sunshine. Laser Artistry & Medi-Spa provides suggestions on how to prep your skin for the season change. The staff at Laser Artistry & Medi-Spa are waiting to help make your skin is ready for spring and stay as healthy as the sun starts to shine. They are experts at making you look your best while staying healthy. Photo courtesy: Laser Artistry & Medi-Spa. “We recommend you wear sunscreen all year round, but a lot of people travel in the spring to warmer climates. Now is the time to change that SPF from 30 to 50,” says Sydney Smith, manager at Laser Artistry. And just because it is overcast, your skin is still exposed to damaging sun rays. You can actually get sunburnt on a cloudy day. Raise that SPF even if you are staying in the Pacific Northwest. “We see a lot of people come in with sun damage on the left side of their body just from driving their cars,” she adds reminding people to reapply sunscreen every 90 minutes. There are two types of sunscreen – physical and chemical. Physical sunscreens are mineral-based and contain zinc oxide and titanium dioxide. If you have oily or acne-prone skin, Sydney suggests avoiding a chemical sunscreen. “The FDA has tightened guidelines and made companies stop using a lot of the cancer-causing ingredients, but people should still be careful,” she advises. She also adds that “natural” or “organic” labels do not guarantee a better product. Her advice is to look for the zinc and titanium ingredients. Laser Artistry carries the Zein Obagi Medical ZO Skin Health Line, which has a physical sunscreen mixed with a makeup primer, simplifying your morning routine. In addition, the sunscreen line is a “super screen,” protecting your skin from other damaging lights such as fluorescents and computer screens. Sydney Smith, manager at Laser Artistry, says why waste spring and summer shaving when you can laser it and forget it? Spring is your last chance for these treatments before summer. Photo courtesy: Laser Artistry & Medi-Spa. Some anti-aging products contain light-sensitive ingredients. “This is the season to use alternative skin care products, if you are going to be in the sun. You will need to switch your skin care routine so that you don’t peel,” says Sydney. 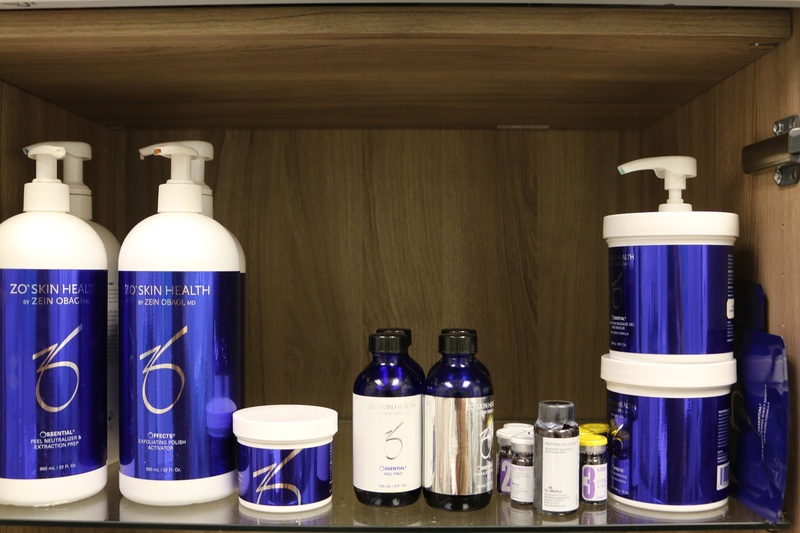 The ZO Skin Health Line is safe to use in the spring and summer. 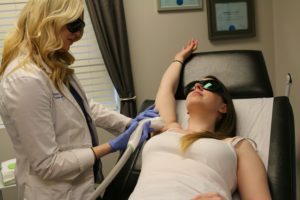 “Our products do the same thing (lighten the skin) without being so aggressive as to cause damage in the sun,” says Melissa Richardson, aesthetician at Laser Artistry. Laser Artistry recommends more manual exfoliation in the spring and summer, like a scrub, rather than using harsher products that may cause damage, such as retinoic acid. “You can also use glycolic acid that won’t cause peeling, but will help slough off dead skin,” Sydney says. The Zein Obagi Medical ZO Skin Health Line is a complete skin care line. The staff at Laser Artistry can help you determine which products you should be using to keep your skin looking young and healthy. Photo courtesy: Laser Artistry & Medi-Spa. This just might be the most important part of your beauty routine, even if you have rosacea. “If you don’t exfoliate, all your products will just sit on top of the dead skin and won’t penetrate past it. Your skin may appear greasy or oily as well,” Sydney explains. “And many people think they have dry skin when it’s really just dead skin that is flaking off because they don’t exfoliate,” adds Melissa. Laser Artistry recommends a light chemical peel in the spring and summer, so you don’t have to skip sunny days outside. Many product lines have a multitude of moisturizers, from light to heavy. Laser Artistry says if you do use a moisturizer, you are probably going to want to move from a heavy to a lighter one, depending on what the weather is doing. “You are definitely going to use lighter products such as serums and sunscreens in the spring and summer versus the winter,” Sydney adds. If you really want to be good to your skin, Sydney says to ditch the moisturizer. “We actually don’t use them or recommend them with our product line,” she explains. “When you use moisturizers your skin becomes dependent on it, the same as when you use a lip balm on your lips. Yes, there is a transition period, but in the long run it’s better for your skin to not use them.” Instead, they say to lightly exfoliate every day, which will normalize your skin. Finally, spring is the time to get ready to look your best during the summer. To that end, it’s the last chance for intense pulse light (IPL) laser treatment before the summertime. The laser picks up skin pigment, resulting in white stripes or spots when the laser removes the tan. The laser also won’t see hair to remove. Laser Artistry won’t preform these treatments if there is a risk, but it can be disappointing if you were trying to look your best for a special event. There are two laser treatments that are safe to do year round – laser genisis, which helps with texture or scarring, and radiofrequency treatment, which tightens the skin. Laser genisis is safe as long as you have not come straight from the tanning bed. 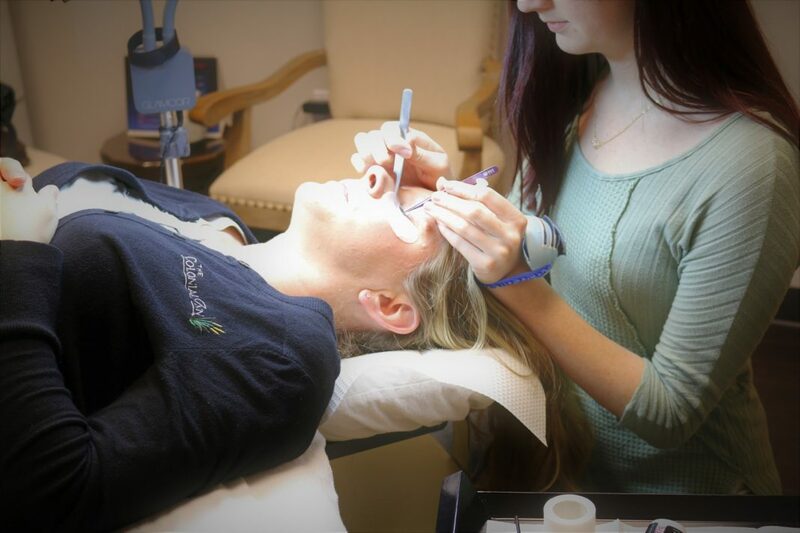 Laser Artistry also suggests Botox treatments be completed before the summer, when you will be squinting more and as a preventative measure against fine lines and wrinkles. Eyelash extensions are a great service so you can avoid mascara. It also gives you a fuller, longer lash so you wake up ready for fun in the sun. Follow these tips and you will look your best for whatever spring throws at you – weddings, graduations, vacations – and will have a head start on looking your best this summer as well. 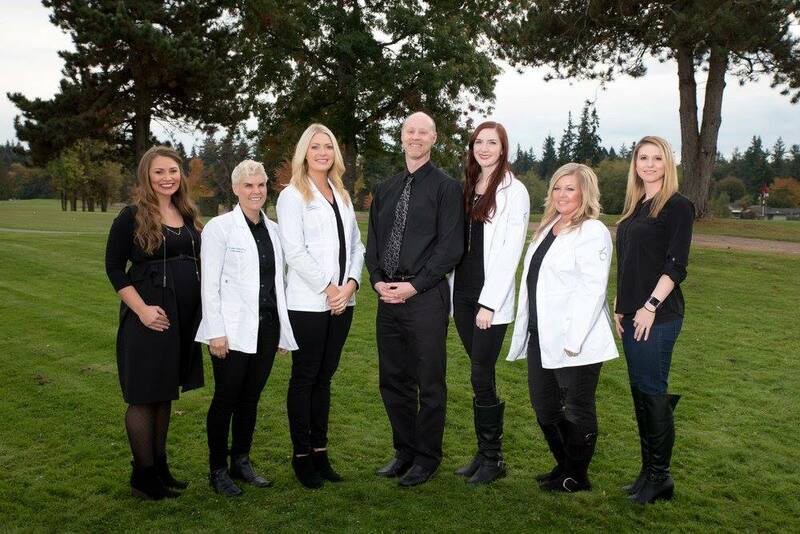 For more information about Laser Artistry & Medi-Spa, visit their website or call 360-753-4221 to make an appointment.